BEL. 9927000 up 15 hp. CAN. 7207858 up 25 hp. 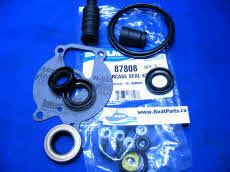 GLM Marine aftermarket gearcase seal and bearing kit for Mercury, Mariner without the forward bearing. 75, 90 and 115 hp. 4 Stroke outboard lower units. Includes bearings, gaskets, seals, o rings and shim set. 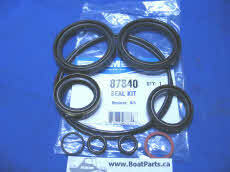 Gearcase seal and bearing kit for Mercury Mariner 200 to 275 hp. GLM Marine aftermarket gearcase seal, gasket and bearing kit. Lower unit kit for Mercury, Mariner 135 to 200 hp. Kit comes without the forward bearing.